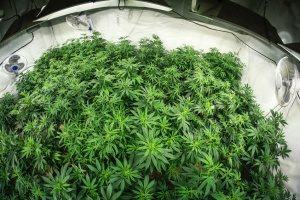 Should I Have Product Liability Insurance For My Cannabis Dispensary? As a business owner, you are responsible for every product you make and sell. While you may be offering a quality product, there is still some level of risk if your product fails to work as it claims. Product liability insurance is designed to protect businesses from the fallout in the event that a product causes damage or injury to third parties. 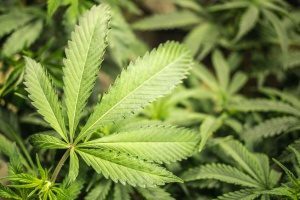 Businesses in the cannabis dispensary industry are at a higher risk of getting hit with product liability claims due to the nature of the product. Learn more about product liability insurance, what it covers, and why cannabis insurance is important to possess. Product liability insurance is designed for use by businesses who supply products to a targeted customer base or members of the general public. With a product liability insurance policy, a cannabis business is protected against claims of property damage or personal injury caused by products sold or supplied through your business. When you have this type of insurance, you will not be responsible for various legal fees or court costs if you should ever face a liability claim. When shopping around for cannabis insurance, it is important to choose a product that best protects your business from costly liability claims due to products that fail or cause harm. This type of claim can occur for a number of reasons, such as a manufacturing defect. If something went wrong when the product was being made, it could result in a liability claim. Liability claims can also occur due to marketing defects. A marketing defect is not caused by the product itself, but rather how the product was marketed to the customer. This can occur in the form of incorrect labels, insufficient instructions, or inaccurate safety warnings. There is a common misconception among small business owners that product liability insurance is not needed or is not worth the cost. However, whether you are a corner bakery selling cupcakes or a large fashion boutique marketing on-trend clothes, having product liability insurance is a wise idea. From the very moment you sell your first product, you are putting yourself at risk for product liability lawsuits which can be highly time-consuming and expensive to remedy on your own. Peace of mind means a lot when selling a product like cannabis. With product liability insurance, you can have the peace of mind that your business is defended against defective products that somehow slip through your rigorous quality controls. Even if you believe that you are not at fault for a problematic product, most laws mandate that manufacturers are strictly liability for all product defects. Know that most states follow a “stream of commerce” liability model. This means that if your business participates in the placement of a product in the “stream of commerce,” you are also held liable for any damages or injuries to the end user. What Other Coverage Options Are There? Along with your product liability policy you may also want to consider other add-in coverage options. Commercial general liability (CGL) insurance is important for all size businesses to acquire. CGL insurance can protect your business from a loss if you are found legally responsible for property damage or bodily injuries to a third party due to the products or services you provide. This type of insurance can also be useful if you or your employees conduct business off-site. You may also want to invest in commercial auto insurance which can provide protection if you or your employees use your vehicle for business purposes. You will also want to consider acquiring property insurance with your product liability insurance policy. As a business owner, you rely on your property, equipment, tools, and technology to keep your company running at peak efficiency. If a piece of equipment or your property becomes damaged, it could cease operations resulting in diminished profits. Having property insurance, along with equipment breakdown insurance, can help keep your business protected from damage caused by a wide range of sources, such as fire, weather damage, and floods. You may be wondering why you need product liability insurance if you already have a general liability insurance policy. Well, the answer is simple. If your company makes a mistake or fails to manufacturer or market your product correctly, the end result could be direct physical damage or bodily injury leading to a liability claim. In the cannabis dispensary industry, every stage from growing the plants to selling the cannabis comes with a high level of risk. While you may be an expert in your field, every business risks facing liability claims no matter how careful they are. As a business owner, you may be concerned about the cost of product liability insurance. Know that the cost of insurance can greatly vary depending on the risk factor associated with your product. However, the average cost of product liability insurance is 26 cents per $100 in retail costs. When determining the risk factor associated with your product, several factors are taken into consideration, such as the type of product, the amount you are distributing, and how the product is marketed. Other factors that may be considered are the safety measures that you have in place to reduce the risk of liability. Product liability lawsuits can tarnish your brand’s reputation and have a significant impact on your finances. Depending on the size of your company, a liability claim could cost you thousands, millions, or even billions of dollars in punitive damages. It could also diminish faith in your product. The good news is that the right cannabis insurance can reduce your risk and protect your business against costly product liability claims. Want to learn more about product liability information? Contact a professional cannabis insurance agency near you to learn what steps you should take to acquire product liability insurance for your business. Previous Post: « What Does Cannabis Insurance Cover?